I'll give you my example, I've never really been one for MLM events, they seemed very hypy to me at the start. Last year I had a mindset shift and went to a non company specific MLM event in Austin, Texas, and a year later my life is completely changed. Now it's not just something that happens magically, I'll explain how that change came about. Since that event, I've created a full time income in the industry, I've launched my own coaching, I've been recognised as one of the top MLM bloggers of the year, and I'm being interviewed left and right, as you can see in the video below. This video was taken at the Live The Dream Event in Austin, Texas. Commit to attending the next Live the Dream, here. Most MLM leaders attend events. Do you wonder why you see the 6 and 7 figure earners attending events, even if they're not speaking? It's only the people who aren't building a profitable business who complain about attending events. Also those who buy their event ticket without a deep commitment to their business sometimes complain about them. The network marketing industry is an industry like any other that takes commitment and constant education. If you had to attend conferences and seminars for other jobs, most people wouldn't even bat an eyelid, yet when there's an event to build their own business, some people shudder at the thought of attending. 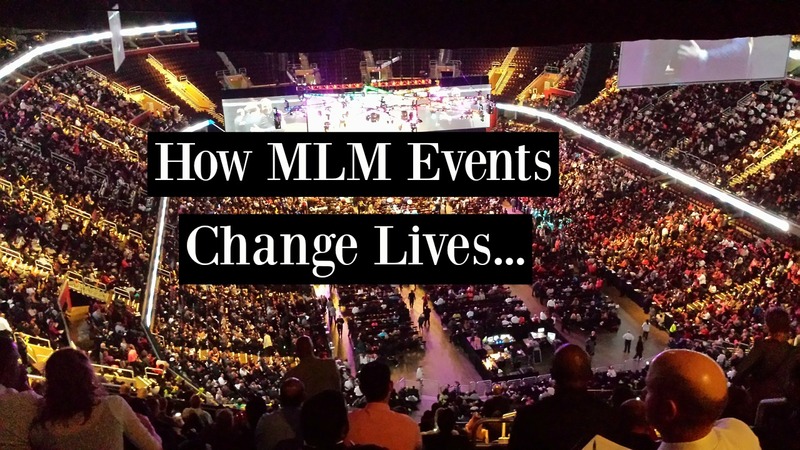 In my opinion, MLM events are non negotiable, you must do everything you can to attend. I used to shy away from events, I didn't think they were that valuable. Now having the result and transformation I've had from an event, I don't think that way anymore. Building a real business takes time, hard work, skills and investment. Most network marketers haven't come to that realisation yet. Now I make it a point to attend MLM events, and the next one I'm going to is Go Pro in Las Vegas. Drop a comment below this article if you're going, I'd love to meet you there. Q: When did you join MLSP and how has it changed you? A: I came back to MLSP around July 2015. Getting to events is key for building your business, it will really build your belief. You get to know people and they get to know you. Since returning from the last Live the Dream event, it's been hard for me to not take action on building my business – you see everyone else doing it, and they're just regular people like you. So why not you? I developed an addiction to taking action where I have been blogging and creating videos consistently. Last year nobody knew who I was, and after just a year of taking consistent daily action, all that has changed. When you surround yourself with the people who are making it happen, it becomes hard for you to not take action. Create that addiction to taking massive action daily! 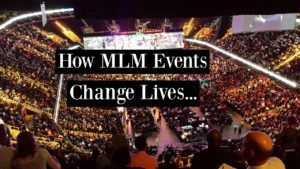 Will You Attend MLM Events? If the above paragraphs weren't enough, another reason is to not just change your results, but to change your life. 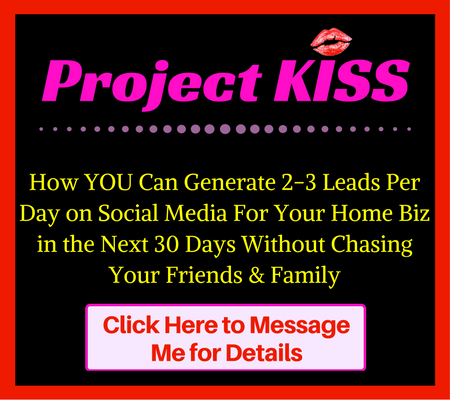 The network marketing industry is designed for people who want to change their lives. People either want to change their finances, their mental state, getting out of their comfort zone etc, and network marketing companies are well positioned to do this with extensive personal development training. Personal development alone isn't enough, you also need the ‘what's working now' which are often taught by those who are making things happen. You'll often find the answer you're looking for as a nugget of information someone says. There's no secret in this industry; however, there are different things that will make you take action. Sometimes the urgency needs to be there to make you take action. In addition to what you learn at the event, the breaks and the people you'll get to network with make up the event. You'll meet some of your potential future partners there. You'll create some long lasting relationships with people who have similar goals as you, and who are set out to make them happen. So what separates people who attend MLM events year after year with no change in results, and those who become leaders? We're all just ordinary people. What makes leaders, leaders, is that they made a decision to take action, and they stuck to it every single day without fail. Did you get value from this post on ? If so, I'd really appreciate it if you'd leave a positive comment below and share it on social media. Couldn’t agree more Kay! Events are the key to our success and more valuable then the price of admission will ever be! Like Ray says we have to Invest, Learn, and Teach and that is exactly what events will do for you! Thanks for the share!! After the Live The Dream event, my life will never be the same. As a great leader once said, you leave events as an entirely different person. Congrats on your success Kay! I’ve attended several events in the past and they can be life changing! Thanks for the great post! You are in a place where you’re celebrated and not tolerated.